I LOVE muslin blankets. I have roughly a million of them and I stash them in every room of the house as well as in my car, diaper bag, grandma’s house, and under the stroller. Why do I want a muslin blanket always within arm’s reach? Why, you ask? Oh, let me count the ways! One of the questions that we’re most often asked by expecting moms Chez Fab is certainly, “What are the benefits of swaddling?” We find there are many! 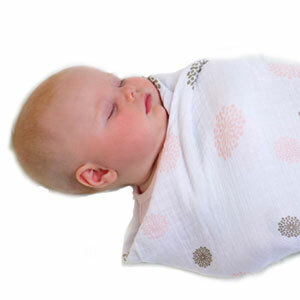 Swaddling a baby can be a great way to soothe a fussy baby. 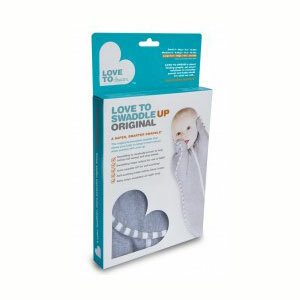 It helps to regulate baby’s body temperature as they sleep and gives them the same secure feeling as being in the womb. Swaddling also helps prevent sudden movements while sleeping that might wake your little one, including the moro (or startling) reflex. 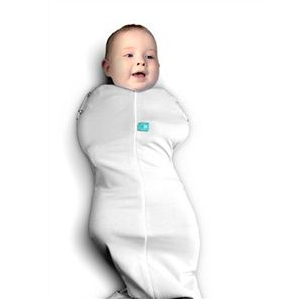 Swaddling also prevents your baby from scratching. It can also help keep your little one focused on breast feeding as it keeps their arms and legs settled. Some babies take time to adjust to swaddling, so if your baby doesn’t seem to like swaddling, try leaving one arm free while swaddling the rest of the body. 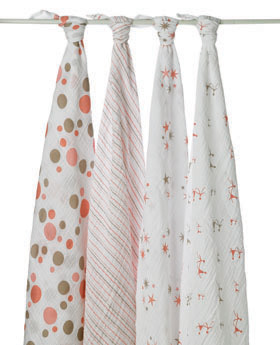 You could also try a variety of swaddle styles, such as the Love to Dream Swaddle or the ErgoPouch Cocoon. Swaddling usually works best from newborn to about 3 or 4 months, but babies who enjoy swaddling may continue for a little while longer! Looking for tips on how to Swaddle? Check out how one Daddy does it on YouTube!